With a little over a quarter of the 2018/19 Premier League season left to play, the battle for silverware, continental qualification and survival is starting to intensify. While developments at either end of the Premier League table understandably draw most of the attention, clubs hovering closer to the middle of the division have their own motivations and targets for the remainder of the campaign. For some of those clubs, securing a top half Premier League finish would represent an outstanding achievement. As things stand, just 6 points separate Bournemouth in 10th from Newcastle in 15th, while West Ham in 9th are just 3 points ahead of Everton in 11th and 6 points ahead of Burnley in 14th. With the chance of a considerable positional mid-table Premier League reshuffle between now and the end of the season looking high, the bookmakers’ Top Half and Bottom Half Finish markets have a potentially lucrative look about them. West Ham are one of the Premier League’s most enigmatic teams. With a squad littered with players whose performances can range from magical to moronic, unsurprisingly West Ham routinely get results to match. Wins against Man Utd and Arsenal this season, were followed immediately by defeats to Brighton and Bournemouth respectively, illustrating perfectly the kinds of peaks and troughs the Irons have found themselves traversing this season. In fact, it’s worth noting that West Ham’s 4-game Premier League winning streak in December, remains the only time where the Hammers have won successive league games this season. With away fixtures at Man City, Chelsea, Man Utd and Tottenham still on the horizon for West Ham, bet365’s odds of 13/8 on the Irons finishing in the bottom half look good value. Read our comprehensive Manchester City vs West Ham match preview here with more predictions and expert betting tips. If progress was the aim for Bournemouth this season, a quick glance at the Premier League table after 27 games last year shows that the Cherries haven’t really improved at all this term. 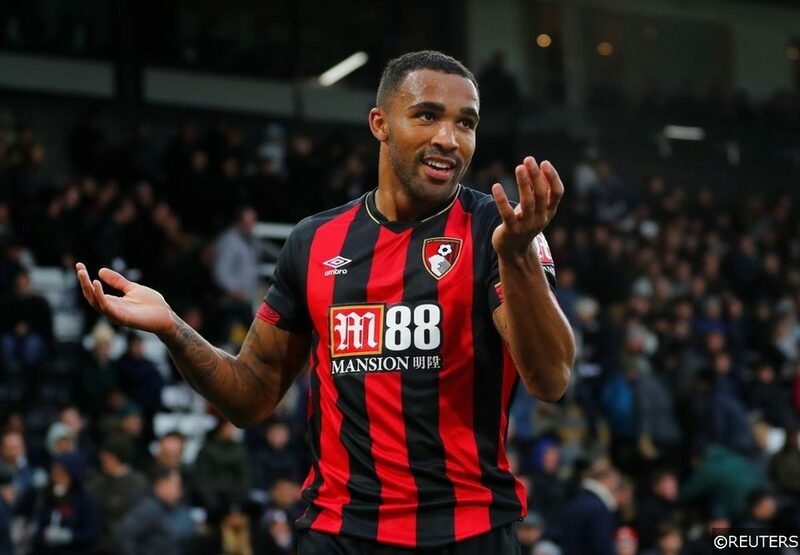 After 27 fixtures of the 2017/18 season, Bournemouth were 10th in the table having collected 31 points – just 3 shy of their total for the current campaign, and in terms of goals at either end, the Cherries increased output in attack has been offset in a higher number of goals conceded. Good form and consistency have both been hard to find for the Cherries in recent months too. Bournemouth’s relatively recent 4-0 battering of Chelsea was memorable, but the victory was 1 of just 4 wins in 17 league games for the club. Worryingly for Eddie Howe, only Fulham, Cardiff and Huddersfield have conceded more league goals than Bournemouth this season. The Cherries do however, have a reasonable looking run-in, with their trip to Emirates on Wednesday their only remaining away fixture against the league’s “Big 6”. In fact, the game against Arsenal is Bournemouth’s only away game versus any of the division’s current top 10 inside their final set of Premier League matches. When you evaluate the remaining games in their schedule, Bournemouth look a brilliant price at 11/10 with bet365 to hold on to their place in the top half of the table. Read our more detailed Arsenal vs Bournemouth match preview with 100% free betting tips and predictions here. With 3 Premier League defeats on the trot and 8 losses in 11 overall, Everton have been caught in a powerful downward current since around mid-December. Toffees’ manager Marco Silva is among the front runners in the Premier League sack race, and with the Goodison Park crowds’ frustrations growing by the week, the removal of the Portuguese coach seems inevitable, bar a dramatic turnaround. The bookmakers’ are forecasting a pretty bleak outlook for Everton too. The Toffees are odds on at 8/15 to finish the season in the Premier League’s bottom half, and a finish below their current position of 11th would hand Everton their lowest final league position since their 17th place finish in 2003/04. With their rapid descent showing no signs of slowing down, Everton’s chances of battling their way back to a top half finish look as bleak as Marco Silva’s post-game interviews. Check out our complete match preview for Cardiff City vs Everton with betting tips and predictions here. Having lost 5 of their last 6 league games, Leicester City finally called time on Claude Puel’s tenure at the King Power Stadium this week after the Foxes humiliating 1-4 reverse at home to Crystal Palace. The Frenchman never really earned the backing of the Foxes crowd during his time at City, with his penchant for risk aversion visibly holding back a talented, young group of Leicester players. 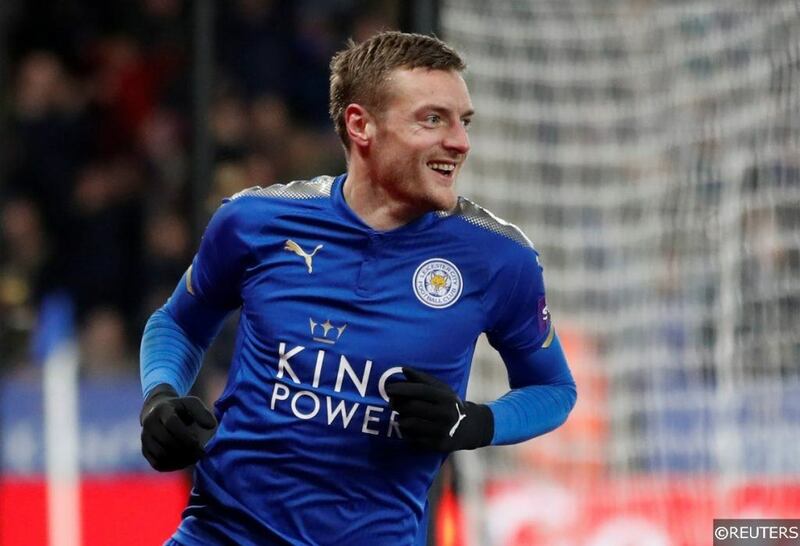 Whoever takes over at Leicester will have numerous players of ability at his disposal, and with some favourable fixtures over the next month combined with a possible new manager bounce, the next man in the door at the King Power Stadium could be set for a sustained honeymoon period. City do however, close out the season with a trio of tough games in succession against Arsenal, Manchester City and Chelsea, though even with those fixtures acknowledged, we think there are enough points on offer for Leicester to make their 6/4 price to finish in the top half with bet365 well worth considering. You can read our comprehensive Leicester City vs Brighton match preview, predictions and betting tips by clicking here. 13th placed Crystal Palace are currently just 4 points short of Bournemouth in 10th, and having lost just 3 of their last 11 games, they look in good shape to mount a challenge for what would be just their second top half top flight finish since the Premier League began. Palace are a team built to counter attack, which ironically, doesn’t seem to suit them at all when playing at Selhurst Park. The Eagles’ home ground contains one of the Premier League’s smallest pitches, and Palace’s pacey attackers seem to struggle there with less space to operate in. 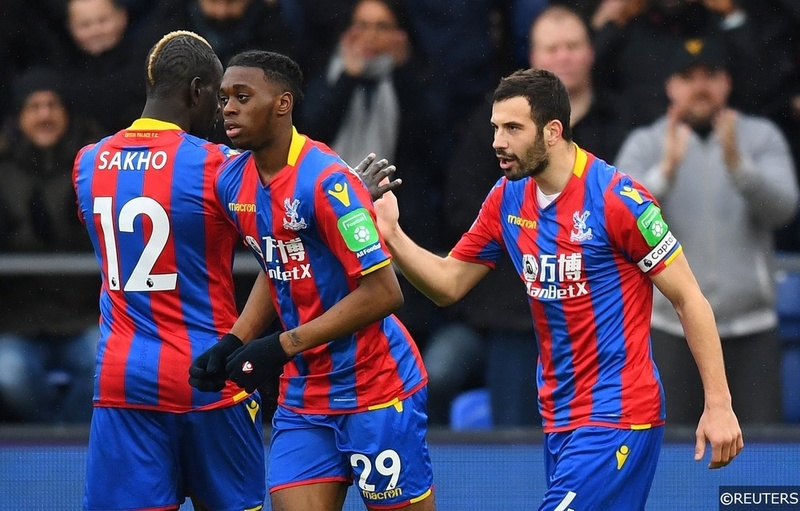 Roy Hodgson’s men have taken 17 Premier League points on the road compared to the 13 they have amassed on their own patch, though having lost just 2 of their last 7 in front of their own supporters, there are hopes that a sustained spike in results at Selhurst Park is on the way. The January loan signing of Michy Batshuayi adds another interesting dimension to Palace’s attacking options, and with a run-in that has a healthy sprinkling of winnable games, we think the Eagles look an interesting option to finish in the top half at 10/3 with bet365. Read our Crystal Palace vs Man Utd match preview complete with expert betting tips and predictions here. With 5 wins and 3 draws from their last 8 Premier League games, a sequence that includes 4 points from 2 games against Manchester United and Tottenham, Burnley are one of the division’s most in-form sides. The Clarets had to endure a dismal first half of the season, where the hangover from their achievements of last year was proving tough to shake. Really, Burnley’s recent transformation has been nothing short of . The Clarets were 3rd from bottom on Boxing Day having amassed just 12 points from their first 19 Premier League games, though Sean Dyche’s reenergised charges have taken 18 points from 8 games since then. With their confidence levels through the roof, the Clarets will feel that they can give any team in the league a run for their money at present. Burnley still have games against Liverpool, Chelsea, Man City and Arsenal to negotiate however, and if they are going to drag themselves into the top half by the end of the season, they will certainly have to do it the hard way. Nevertheless, at 25/1 with bet365, they could be worth a small stake to make the Premier League’s top 10, especially when you consider the performances they have been putting in since the turn of the year. Read our comprehensive Newcastle vs Burnley match preview here with more predictions and expert betting tips. The fact that Newcastle have been priced at shorter odds to finish in the top 10 than Burnley, despite sitting one place and two points behind the Clarets in the table, might make for surprising reading. In truth, their odds reflect the wave of momentum the Magpies have been steadily building in recent weeks. Newcastle’s only defeat in their last 5 league games was their narrow 0-1 loss at Tottenham Hotspur and that coupled with United’s win against Manchester City the previous week showcased the team’s ability to mix it with just about anyone in the division. With 3 wins on the spin at St. James’ Park, Newcastle look to finally be getting the points that their performances have deserved at home. Against Huddersfield Town on Saturday, Newcastle looked positively rampant at times, and the signing of Miguel Almiron, who added sparkle and creativity against the Terriers, already looks inspired. 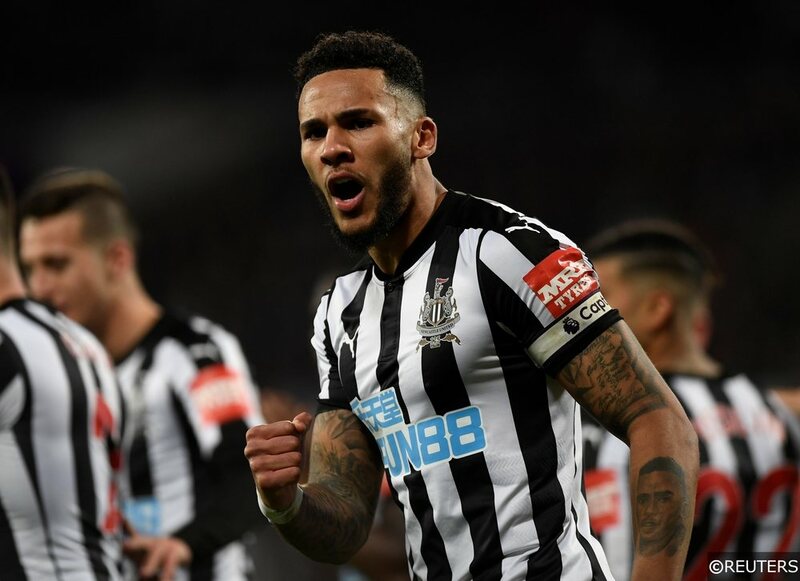 Clawing back the 6 points they need to put themselves back into top half contention might be too much of an ask this season however, though the overall outlook for Newcastle certainly looks much more positive than it did just a month ago. Categories: Betting Strategy, Blog, Football, and Premier League. Tags: fantasy premier league tips, Premier League betting special, premier league betting tips, Premier League special, and Premier League top half finish. Team Tag: bournemouth, burnley, crystal palace, Everton, Leicester City, newcastle, and West Ham. League: England Premier League. Sports: Football.